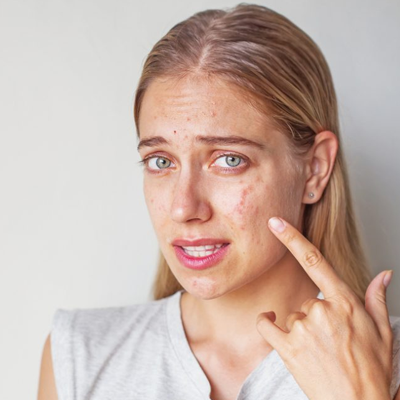 Acne is one of the most common skin complaints there is, and with so many people having suffered at one time or another, it is a problem that most people can relate to. If you suffer from acne, chances are you will have tried every ointment under the sun. If you have, then you might already know that the more commonly used conventional treatments are expensive. The often-harsh chemical ingredients found in conventional treatments can also produce adverse side effects such as dryness, irritation, and redness. Or maybe you prefer to stick to more natural remedies and allow mother nature to do her best work. Either way, people are always on the lookout for ways of helping to treat acne, and castor oil is one natural treatment that may be able to help reduce the symptoms. By understanding what acne is and how it is caused, you will have a better chance of clearing it. 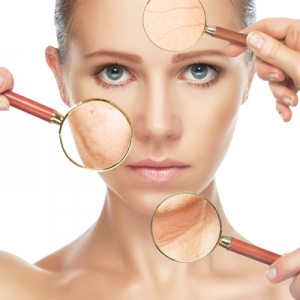 Acne is spots that are formed when your skin pores become blocked with oil and dead cells. The oily substance that is produced by glands in each pore is known as Sebum. The purpose of Sebum is to keep your skin moisturized. However, this can easily become out of balance. If this is produced to excess, it can clog pores which causes a bacterium called Propionibacterium to grow. When your white blood cells attempt to fight this bacteria, redness and skin inflammation occurs. This is what leads to the whiteheads, blackheads, and pimples associated with acne. Certain environmental factors can be altered to help prevent acne, such as a better diet and exercise. It is always important to remove makeup and clean your skin properly to reduce the risk of acne. Other factors such as genetics, medical treatments, and hormone imbalances are more difficult to overcome in the prevention of acne as these can’t always be stopped. Even some medical treatments for acne have been known to worsen the condition which is why natural remedies can be more beneficial. Castor oil is a natural product which is pale-yellow in appearance. It comes as a liquid that is produced from pressed castor beans to make a kind of vegetable oil. The castor bean plant is primarily found in Africa, South America, and India. As well as its moisturizing properties, castor oil also refreshes the skin by cleansing it from excess oil and germs. The fatty acids it contains are able to fight against any bacteria that has grown from the access Sebum that your pores produce. This fatty acid is combined with undecylenic acid in working as a disinfectant. Another kind of acid found in castor oil known as Ricinoleic Acid is able to reduce the visible irritation on the skin that is caused by the bacteria. Castor oil also contains vitamins and antioxidants that contribute to the rejuvenation of your skin. Once the castor oil has calmed the acne already formed on the skin, it is able to provide aftercare to the skin by hydrating and preventing any more bacteria from growing. The antioxidants in castor oil are also capable of fighting free radicals which are what’s responsible for accelerating the aging process. Castor oil will improve blood flow to the kind and exfoliate any dead cells which would otherwise contribute to the blockage and infection of pores on your skin that cause acne. The anti-inflammatory properties of castor oil will help to fight any fungal infections that cause acne while aiding the healing process of scars caused by old spots. They will also help to reduce any swelling and puffiness of the face as well as inflamed spots. The anti-inflammatory properties can also contribute to the calming of sunburn on the skin as well as soothing the pain that is associated with it. This ability to calm the skin is especially necessary for sufferers of acne. Castor oil replaces moisture in your skin which will prevent the overproduction of oils in the pores of your skin that cause acne. This moisturizing property will also contribute to the prevention of wrinkles and keep you looking fresh and healthy. It will also reduce the peeling of the skin and help to heal scars. To get the best out of castor oil and increase the benefits of natural remedies for your skin, it is best to combine with other essential oils. This will contribute to the fighting and prevention of acne and other skin complaints. As well as applying directly onto the face, you can also boil castor oil with almond oil to use as a steam bath for a milder approach. It is important always to use a gentle cleanser on your face that won’t exacerbate any irritation or redness. You can also leave an oil mask on overnight to get more intense results which can be rinsed off in the morning after your skin has absorbed the mixture. If you wish to use castor oil by itself, always remember to use a test patch first before applying all over the kind to ensure your skin will not become irritated. This goes for any new treatments that you want to apply to damaged or broken skin. You will only need a few drops of castor oil to treat the acne, and this form of pure castor oil treatment is designed only for the more severe cases. You don’t need to leave the castor oil on for any longer than an hour for it to work. It is also possible to use pure castor oil steam baths in the evenings as an alternative treatment for preventing recurring acne. You may also wish to combine castor oil with olive oil which can be left on the face for half an hour in mild cases. In severe cases, it can be left on overnight. For the best results, all treatments should be repeated daily. By mixing a teaspoon of castor oil with a teaspoon of jojoba oil, you can rinse the infected skin with water before gently rubbing the oils onto the areas where acne is present. Leaving a warm moist towel over the skin will help open your pores to encourage the oils to soak in. 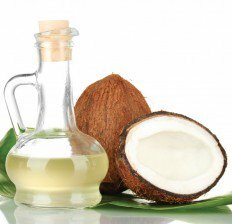 Organic coconut oil is excellent for the skin and can be combined with castor oil for daily treatment. For best results, give your face a steam bath before rubbing the mixture onto the affected areas. The same process can be used with sunflower oil. A great way to calm your sebaceous glands is by combining castor oil with grapeseed oil, tea tree oil and a drop of lemongrass. Once you have massaged it gently into your skin, you can leave it on while you sleep. If you want a more thorough treatment, you can moisten a towel with warm water and place it on top of the mixture. Using apple cider vinegar after your treatment is a great natural way to reduce inflammation and prevent scarring. Its ability to fight bacteria will contribute to clearing up any acne from your skin combined with its ability to dry up excess oil your body produces. As with any skin treatment, there are always important things to keep in mind. This is true whether you are using traditional or natural remedies and ointments. This kind of castor oil contains ash which includes even more fatty acids and phytochemicals than standard castor oil. These will contribute to the productivity of the oil by refreshing your skin and reducing the amount of oil produced by the glands in your pores. This kind of castor oil has a waxier texture than regular castor oil. This is because it is when it is in its purer form. It is a way of using concentrated quantities of castor oil and will help to reduce the effects of acne through the application of a steam cleanse. As well as using castor oil and maintaining a healthy lifestyle, you may feel like you need some extra help to get clear skin. Zinc supplements can provide an extra helping hand to help your cells grow as well as aiding hormone production, metabolism, and immune function. Studies show that people with acne often have lower levels of zinc in their system and that taking zinc supplements can help to fight acne. This is another great oil for your skin. Fish oil also contains fatty acids that offer a huge range of benefits. For certain fatty acids to work, they must be taken through your diet, and this is where supplements come in handy. While the castor oil gets to work on your face, fish oil rich in omega-3 will help to fight the acne from a different source. The two main types of fatty acids that fish oil contains will help to manage the production of oils in the pores on your skin. They also contribute to maintaining the right levels of hydration to reduce the likelihood of acne. They also work as anti-inflammatories, much like the fatty acids in castor oil. The recommended daily dose of omega-3 fatty acids is between 250 and 500mg. This is a great addition to your natural acne treatment as the benefits are much the same as castor oil but work best by oral consumption rather than topical application. Acne is a common problem that has affected most of us at one point in our lifetime. This doesn’t make dealing with it any easier, and acne sufferers can often feel unconfident about their appearance and disheartened if treatments don’t seem to work. The use of castor oil is a natural way of healing the skin, preventing bacteria growth and unblocking your pores. It is especially effective when combined with other essential oils that also contain relevant healing properties. While these natural remedies are useful in helping to reduce the symptoms of acne, there are other lifestyle factors that should also be taken into consideration by those who suffer. By ensuring you maintain a healthy diet with low sugar intake, always staying hydrated and remembering to clean your skin regularly you will minimize the likelihood of developing acne. It is of course still possible to suffer from acne even when doing everything else by the book which is why it can be frustrating when nothing seems to work. Some people will still suffer from acne regardless of their diet and hygiene routines. This is when natural ingredients such as castor oil are extremely useful in aiding the skin along with other natural supplements.